Every year I buy my twin sister a natural face moisturiser. It’s a little gift from me when I go to Slovenia to visit her and I’ve been doing this for years. Her skin is really sensitive and dry so it took me a bit of time before I found something good enough for her. Her skin would react to all kind of creams but natural face creams from Neal’s Yard Remedies didn’t give her any reaction so I bought these for her several times. But this year I wanted to buy her something different, another brand, just to see how it compares. 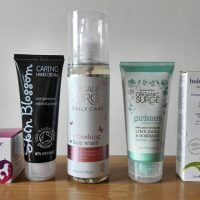 So I spent hours researching natural face moisturisers suitable for dry and sensitive skin and found some really good ones (based on their descriptions and reviews). At the end I decided to buy her Weleda Almond Face Moisturiser although there were so many other face creams I could have bought her. The choice of natural face creams online is massive but not all are created equal. Some of them contain phenoxyethanol, a preservative which some people don’t like to use and I decided not to include those face creams in this post as I wanted to focus on more natural ones and only the best. Almond Soothing Facial Cream from Weleda is the natural face cream I decided to buy for my sister this time as it has so many good reviews online. The cream is made with organic ingredients and it does not contain parabens, SLS and synthetic colour or fragrance. You can buy it from a variety of online retailers such as Amazon, Holland & Barrett and Big Green Smile. Odylique Avocado 24-Hour Replenishing Cream is certified organic by The Soil Association and it’s 100% natural. It is cruelty-free and also suitable for vegans. This hand-made cream does not only nourish your dry skin, it also helps to tackle fine lines since it contains a rejuvenating frankincense. It moisturises really well and has not irritated my rosacea at all. Love this rich moisturizing face cream! It feels so silky and absorbs really well into your skin. Green People are another well-trusted natural skincare brand and with their scent-free range they also cater for sensitive skin. Green People Anti-Ageing Scent-free 24 Hour Cream is a gentle natural face cream suitable for very sensitive skin. On Green People’s website you will find 100s of glowing reviews of this cream and for this reason I actually bought a few samples of it for my sister to try. She got on with them ok but the samples were quite small so if you buy some, make sure you buy at least 3 to properly test the cream out. Excellent, no perfume or other bad ingredients to irritate my eyes. You can buy this face cream directly on Green People’s website (Get 15% off with a code HEALTHY15). If you have a sensitive skin, you may have already tried natural products from Pai Skincare. So many natural beauty bloggers recommend them and for a good reason. The founder, Sarah Brown, has a sensitive skin herself and understands very well that sensitive skin needs to be handled with care. For this reason they have a strict policy on ingredients and in their products they will never use potential irritants such as alcohol (Denat. ), artificial fragrance/parfum, formaldehyde, parabens, high levels of essential oils, petrochemicals, phenoxyethanol, etc. Avocado & Jojoba Hydrating Day Cream is formulated to hydrate and protect dry sensitive skin using only the cleanest organic ingredients. This moisturiser helps to reduce fine lines as well. If you have extremely dry skin you may need to use it in conjunction with a serum or a facial oil. The cream hydrated brilliantly while absorbing nicely with no greasy residue. Incredibly soothing over the winter months and combating dryness from central heating etc. Has helped soothe and heal the dry patches, you only need a small amount. 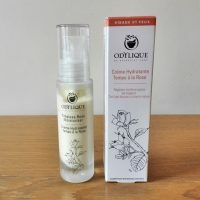 Nourishing Rose Day Cream from Organic Surge is certified by EcoCert and suitable for vegans and vegetarians. It’s been tested on sensitive skin so you can rest assured this is something your skin will love. This organic day cream is luxurious and soothing with a nourishing day time formula that helps to counteract fine lines. Damask Rose will help to calm redness while deeply moisturising Argan oil will nourish your skin and prevent ageing. This cream has a light texture and can be used as an eye cream as well. This face cream is truly wonderful, my skin is hydrated and my skin tone is becoming more even. You can buy this face cream on LoveLula with free delivery worldwide. PHB Ethical Beauty is a family-run company which offer a wider range of ethical beauty products which are natural, vegan and alcohol free. All their products are also cruelty-free and contain no palm oil. 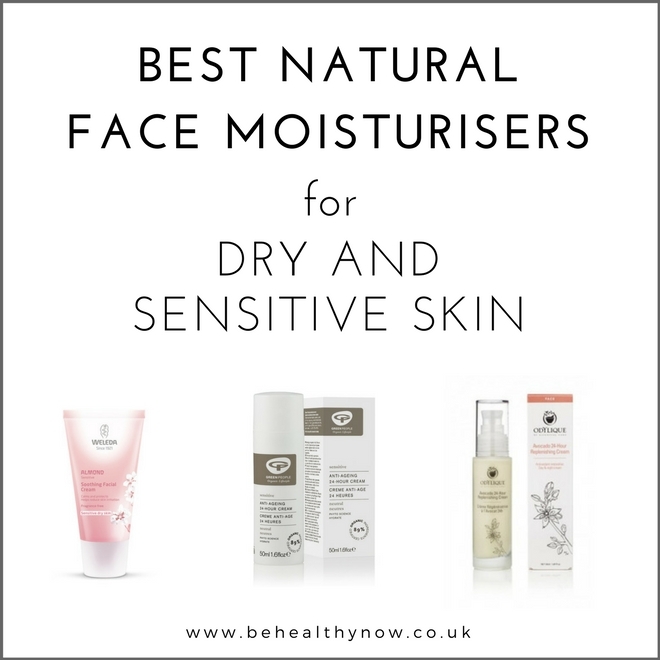 In their extensive range you will find several natural face moisturiser but the one that stands out for me is their award-winning Anti-Aging Moisturiser with Monoi Oil and Gardenia. Its gentle and nourishing formula is quick to absorb and will help to enhances collagen and elastin production for firmer skin. It’s suitable for all skin types, including sensitive skin. If you are worried about your ageing skin this could be the right natural face moisturiser for you. If you are not sure this face cream would suit your skin you can also get a sample size here. 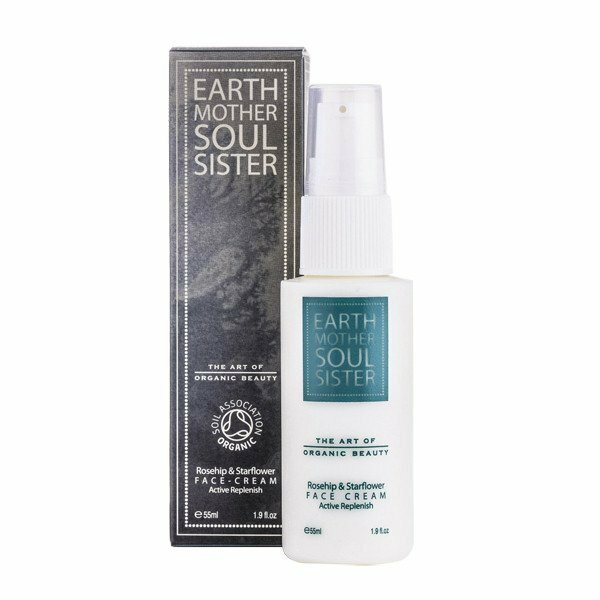 Rosehip & Starflower Face Cream from Earth Mother Soul Sister is certified organic by The Soil Association and it’s suitable for the most sensitive skin. Its organic ingredients will replenish, renew and repair your skin and restore your natural radiance. It sounds like a perfect natural face cream for dry, sensitive and mature skin. You can find it on LoveLula. Esse’s Nourish Moisturiser is an award winning moisturiser which contains beneficial probiotic extracts that strengthens and moisturises dry and sensitive skin. The moisturiser is really nourishing and feels luxurious on the skin. It won’t leave your face feeling greasy though and it does not take long to absorb. The skin feels well hydrated afterwards and soft to touch. The scent is pleasant, very subtle but lovely. A true moisture bomb that causes the skin to radiate well. This is a great natural moisturiser if you are looking for a top-end product that will take your skin to the next level. If you have dry and sensitive skin and you are over 25 years old, then Balance Me Restore and Replenish Face Cream sounds perfect for you. It’s infused with firming Hyaluronic Acid and antioxidant Blackberry Leaf Extract to help firm and protect. It’s 99% natural and it will help reduce fine lines and prevent signs of premature ageing. You can currently buy it on Naturisimo. LJ Natural is a company I stumbled upon a while back and after trying some of their samples I decided to buy myself a full-size version of OMG Serum and Cucumber & Watermelon Eye Serum (both great products which I highly recommend, by the way). Very Sensitive Organic Moisturiser is suitable for use on very sensitive skin, even eczema and rosacea as there are no essential oils in it. This moisturiser is easily absorbed and it does not block pores or leave greasiness behind. It’s hand-made and very affordable. 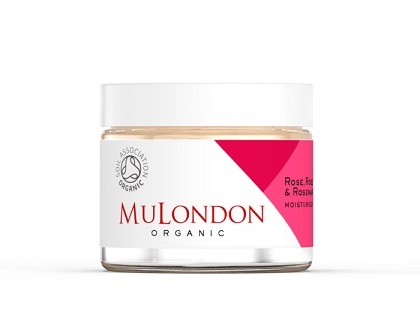 Organic Rose, Rosehip & Rosemary Moisturiser is another natural face moisturiser in this list which is certified organic by The Soil Association. It’s 100% organic and its formula is water-free which means no preservatives in any kind of form. This moisturiser is great for dry, dehydrated, irritated and sensitive skin and can not be only used on face but on your hands, feet and elsewhere on your body too. You can use it as a super-moisturising night cream to wake up to a beautifully soft, smooth and hydrated skin. So there you have it, some of the best natural face moisturisers for dry and sensitive skin you can find online. Have you tried any from this list? What is your favourite natural face cream? Yes, it seems it’s perfect for her!